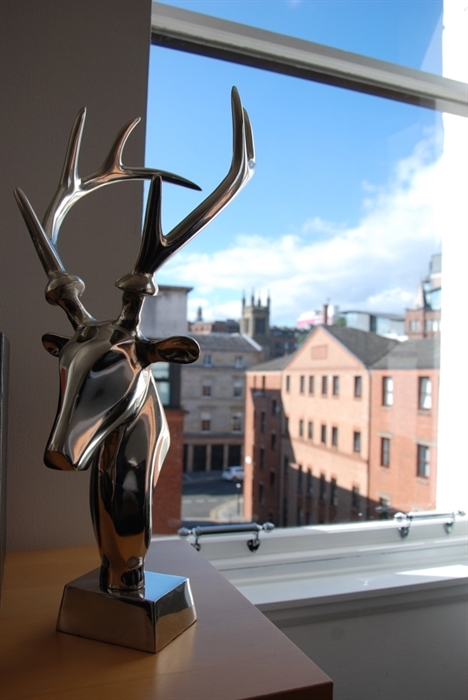 Welcome to Merchant City Oasis. 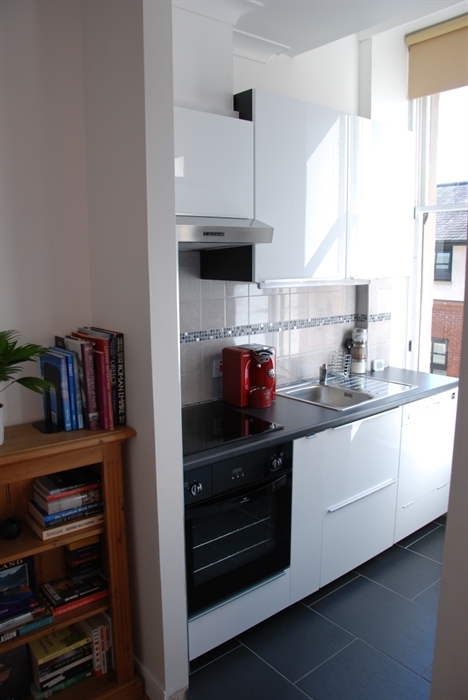 A modern, bright & spacious city centre apartment. It is well located for shopping, theatres, concert halls, universities & tourist sites. 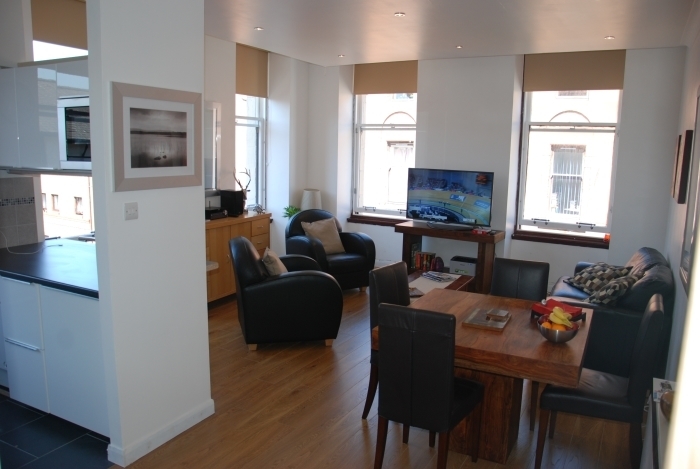 Our modern, bright and spacious city centre apartment is perfect for a couple, a family or friends working or visiting Glasgow. 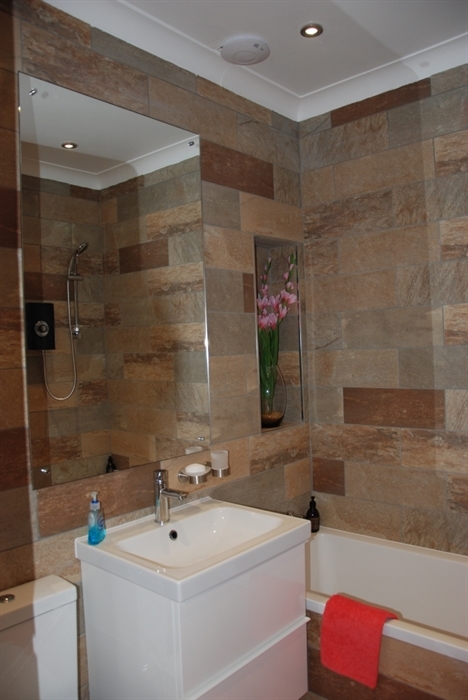 It is centrally located for shopping, theatres, concert halls, universities, tourist sites and has great transport links. The apartment (approx. 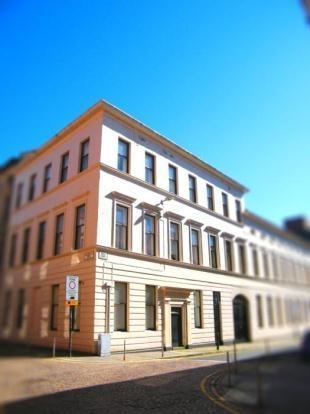 49m2) is a converted second floor flat (Grade 1 listed building) located on the 2nd floor (top due to the position of this particular flat) of an 1880 three storey former warehouse building in the heart of Glasgow’s Merchant City. Due to its corner position, the apartment benefits from fabulous natural light into it. 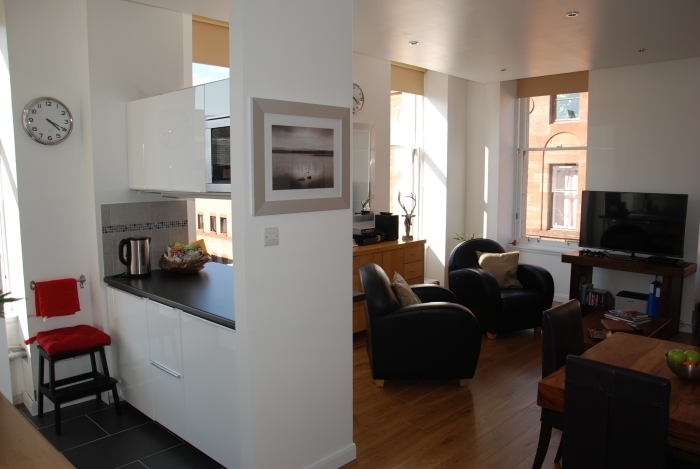 The flat itself has a modern classic style to it and is situated in a great little spot in the Merchant City area of Glasgow. This area is renowned for its great cafes, bars and restaurants as well as its history and architecture and not to mention its great location for shopaholics. 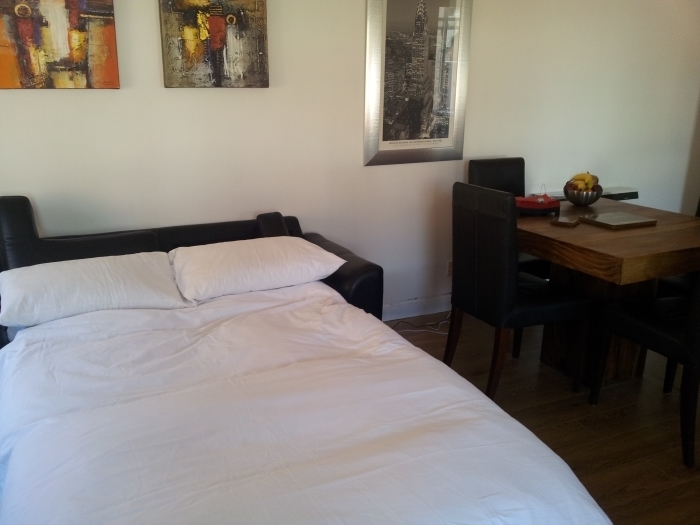 We can comfortably sleep 4 guests. 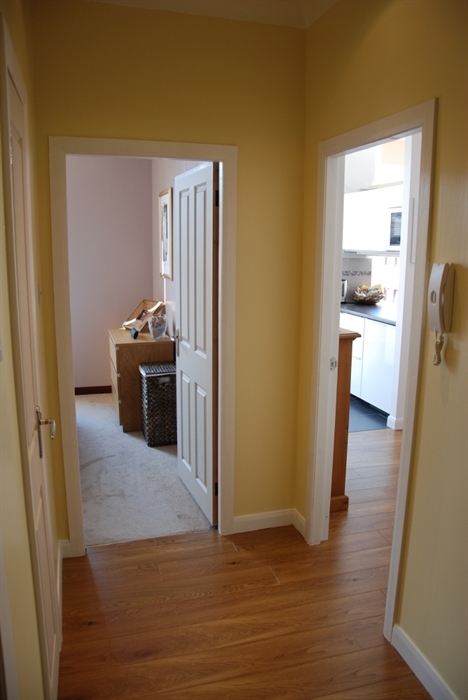 The apartment has a lovely modern kitchen and large lounge area with lots of natural light. 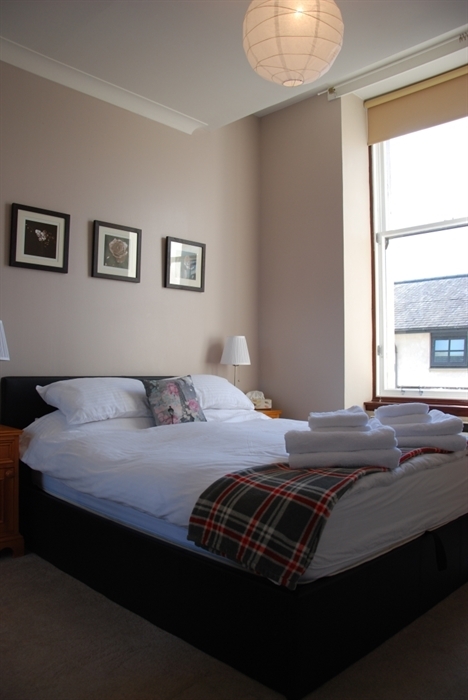 The bedroom has a comfortable double bed and there is a double sofa bed in lounge area. 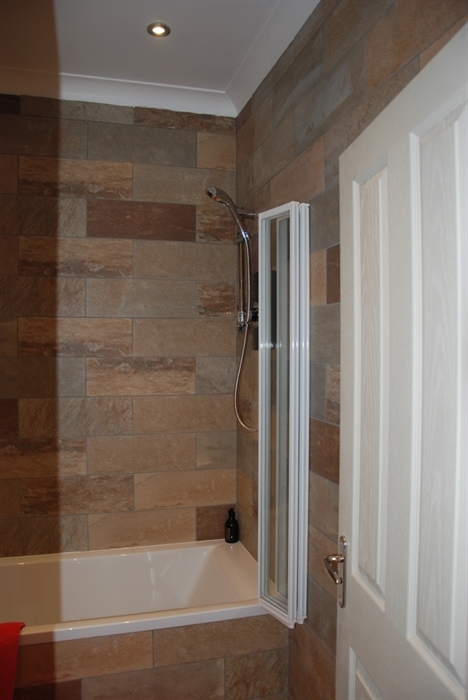 The bathroom has a bath and electric shower. Please note that there are no elevators in the building and access is via a communal stairwell.